Nicolette Smabers (b. 1948) wrote her debut, a well-received collection of short stories entitled De Franse tuin (‘The French Garden’), in 1983. She followed this with the novellas Portret van mijn engel (‘Portrait of my Angel’, 1987) and Chinezen van glas (‘Chinese in Glass’, 1991), and several children’s books. In 1992, she was awarded the Halewyn Prize. After several years of silence, she published her first novel, Stiefmoeder (‘Stepmother’) in 2003. 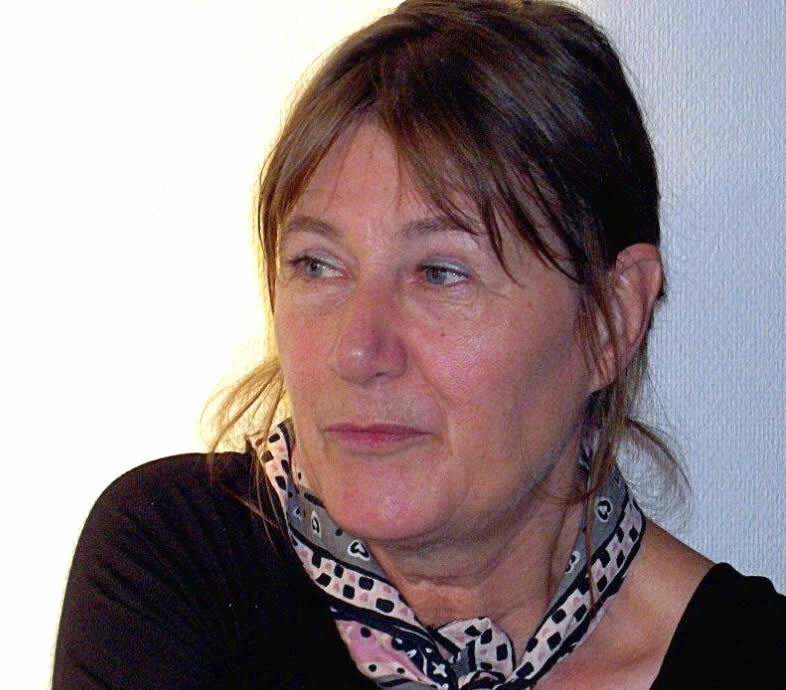 In 2004, a new collection of her first three books, entitled De Franse tuin. Verhalen en novellen, (‘The French Garden. Stories and Novellas’) was published. De man van gas en licht (‘The Gas and Electricity Man’) is her second novel. Nicolette Smabers once said in an interview, that 'story telling is an act of love'. This statement characterizes the way she writes. Withholding important information from children, thus denying them the right to the truth, and resulting in a lopsided view of reality, plays a role in all of Smabers' work. Sixteen year-old Eva Porceleyn learns that her parents are planning to emigrate from The Hague in the Netherlands to California. This, to them, is the fulfilment of a long-cherished dream, and they hope that their daughter will be as excited as they are. Instead she bursts into tears. Emigrate to America? Eva wants to stay on in the Netherlands, and she wants to become a teacher. Besides, she is in love. But if she stays, her parents and brothers will be gone, and she'll have to live with her Uncle Leo and Auntie Amanda. Faced with this choice, Eva tries to understand the fraught relationship between her father and her uncle. She delves into her childhood, when her father told her stories every night, fairy tales, Bible stories and memories of the former Dutch East Indies, where the family lived before Eva was born, interwoven with stories about the fortunes of the Porceleyn family. However, all the stories, fast paced and told with great delight, conceal important details. Eva discovers that some wounds are hard to heal, and that the past 'is under a spell of silence'. Her search takes her to the 1920s, to a school playground in a town in the middle of Java, where her father and his brothers, children at the time, engaged in a fight which also raged outside: the one between black and white Dutchmen. De man van gas en licht (The Gas and Electricity Man) is a touching and intimate family saga showing the power of story-telling cutting across oceans and generations. What's an illusion? Something less beautiful, less true, less valuable than you thought at first. Or is that disillusion? With illusion I think of a rabbit that's lifted up by the scruff of its neck: look, here's a rabbit. So, is that really a rabbit. Stopping to look at the ordinary things in life, that is the typical attitude of the main characters in all three of Nicolette Smabers's books to date. The female narrator attempts to define her childhood as an Indonesian and a Catholic living in The Hague. Yet the more accurate her description becomes, the more puzzling it seems to appear. Like the marbles which Edith Persoon (nicknamed Ditte) takes with her after visiting her Aunt Dora in Chinezen van glas: the multicoloured signs inside are Chinese characters - says Ditte - which have to be read under a magnifying glass." In the history of our household (where WWII, that great barrier to the past, counts as year one) Switzerland and The East Indies sound like makebelieve names. Even now, if I hear or read about them, I suffer a shock of recognition; these are parts of the world, real parts. For Hayo and Andrea Spanjert, these names are woven into their childhood alongside a conspiracy of unspoken truths. For years the name Francien, their half sister, and the stories of her youth in the "untouched neutrality" of Switzerland were taboo. The same was true for their father's first wife Ilse, with whom he left Indonesia in the late twenties to travel halfway round the world to a Sanatorium in Davos in Switzerland. Like the smouldering of a peat moor fire, one past sworn to secrecy seems to ignite another. The knowledge concerning their mothers adolescence and her strong catholic background may be even more curbed than that of their fathers' background. Once Hayo and Andrea leave home, it is Andrea who realises the extent of the hindrance and grief that all those years of unspoken truths have inflicted upon her. "We have no past, we have parents," she writes to her brother Hayo. "We are like plants removed from their pots, but our knotted roots only fit the one shape." Stiefmoeder met with unanimous praise in the Dutch literary press. In addition, it was longlisted for the annual AKO Literature Prize.